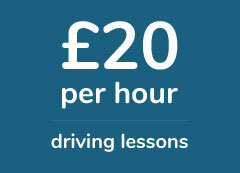 Booked driving lessons in Ilford with Wise Driver and I really enjoyed my time with them. My driving instructor was friendly, really relaxed and very patient with me. I needed lot of time and he didn't rush. I struggled with the hazard perception but slowly he got me up to a good standard, Passed in 6 months too.